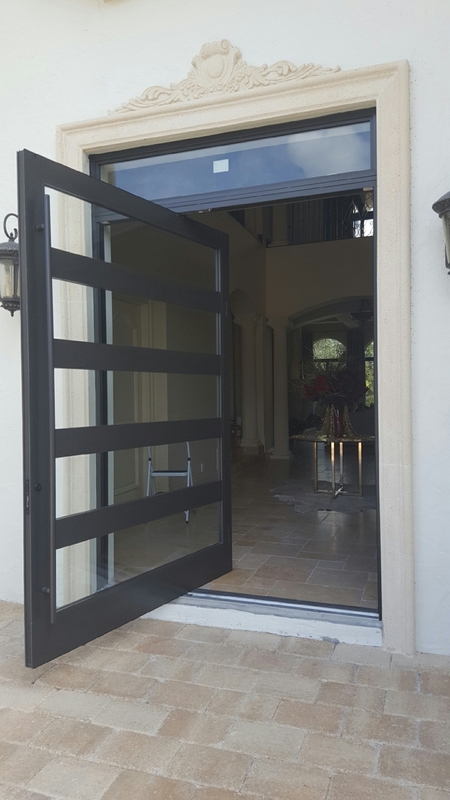 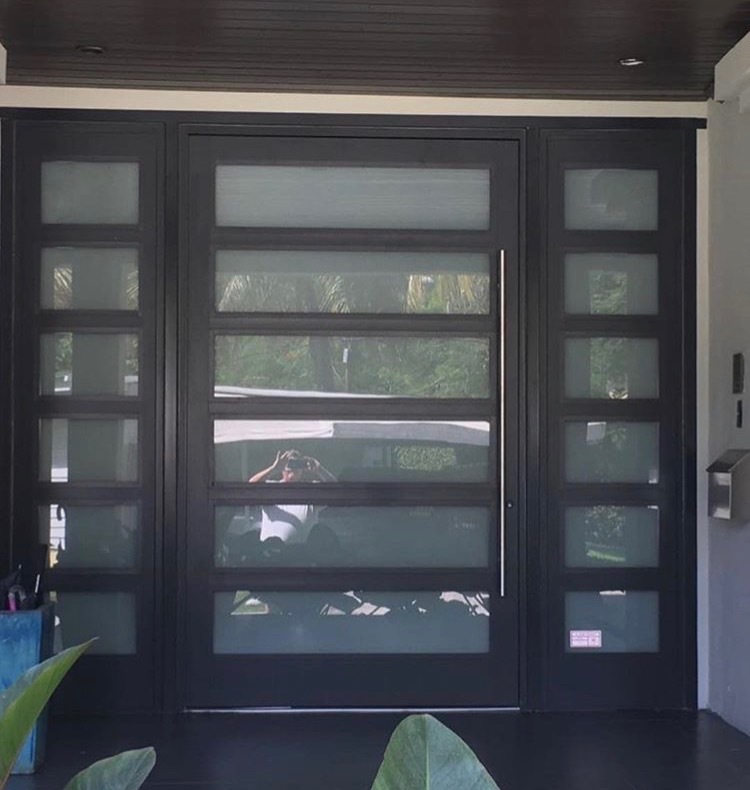 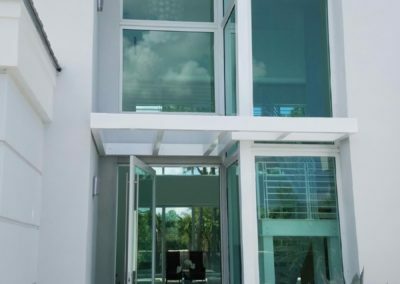 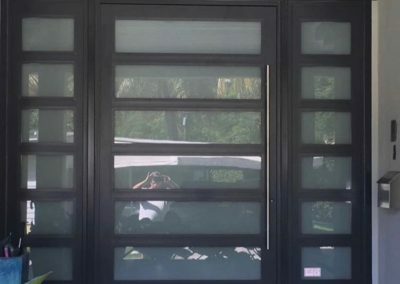 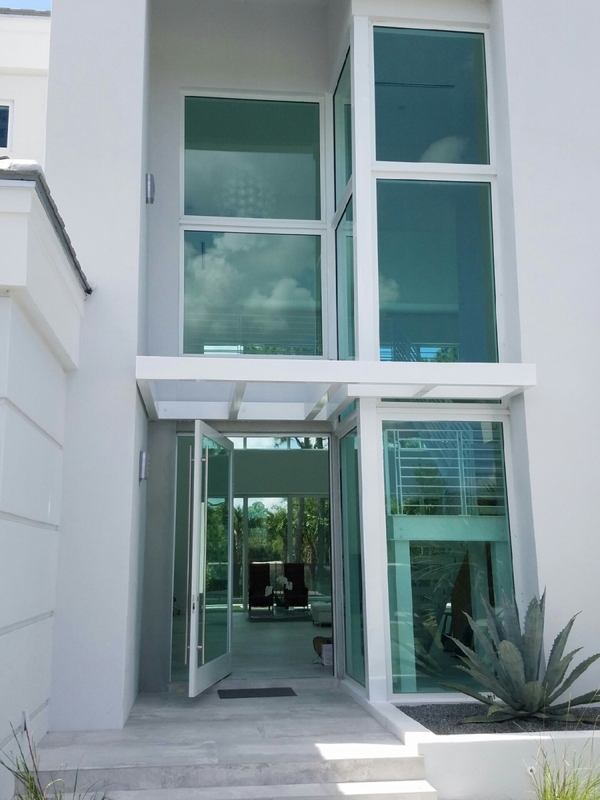 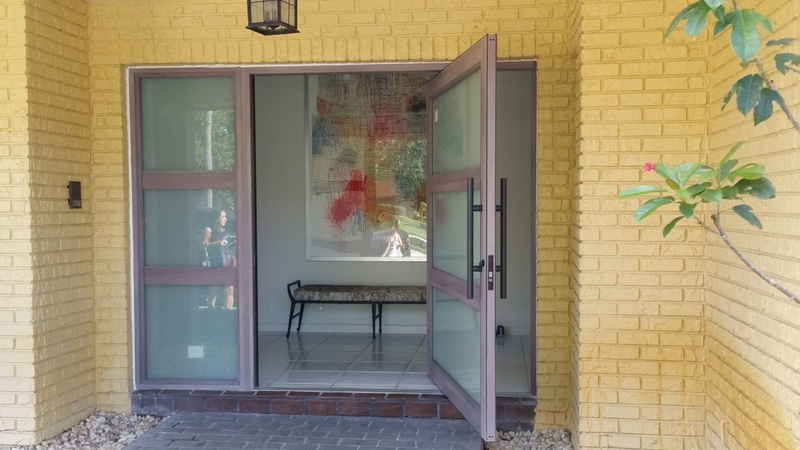 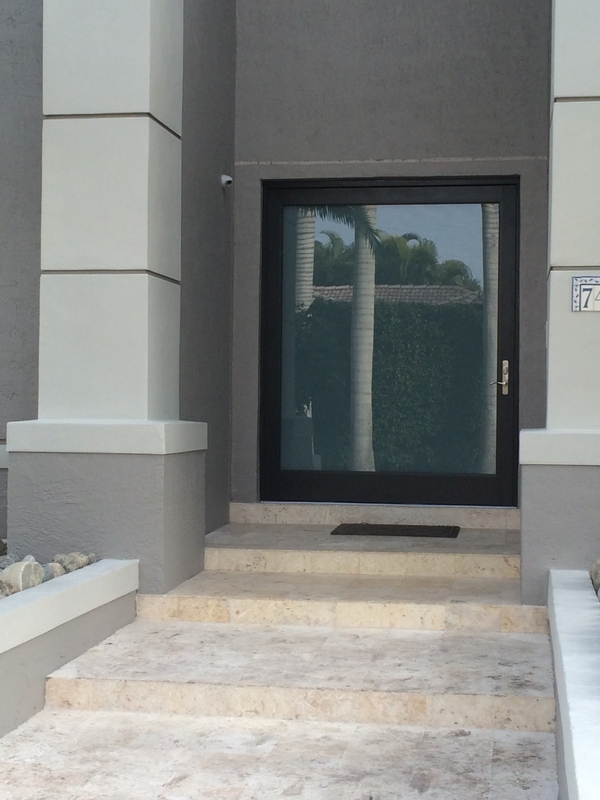 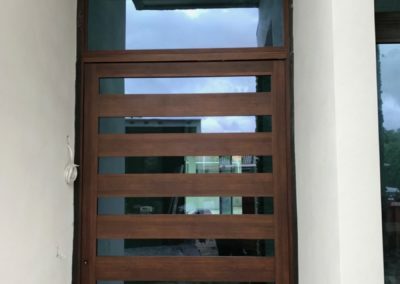 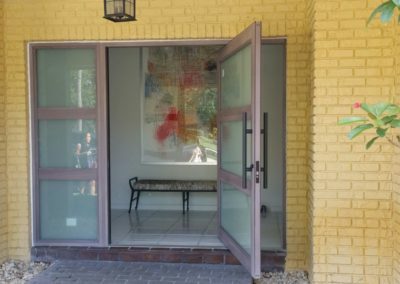 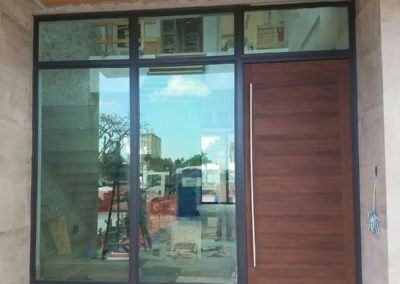 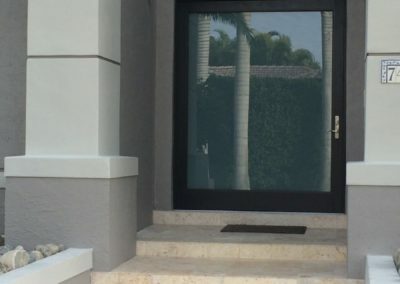 SIW offers the only exterior hurricane resistant pivoting door in the industry.Meeting and exceeding the Miami Dade & Florida Building Codes. 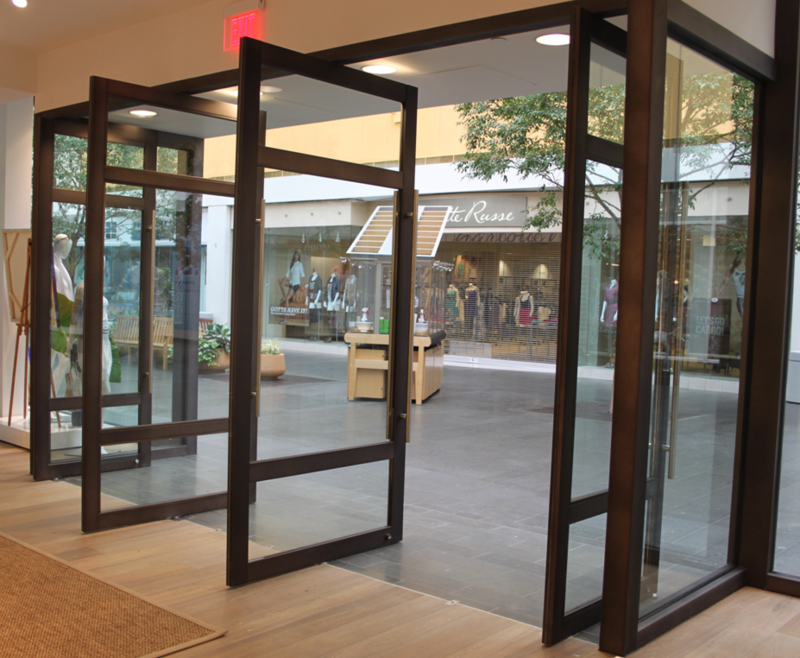 This product was designed for applications with a very large opening and minimal space interruption. 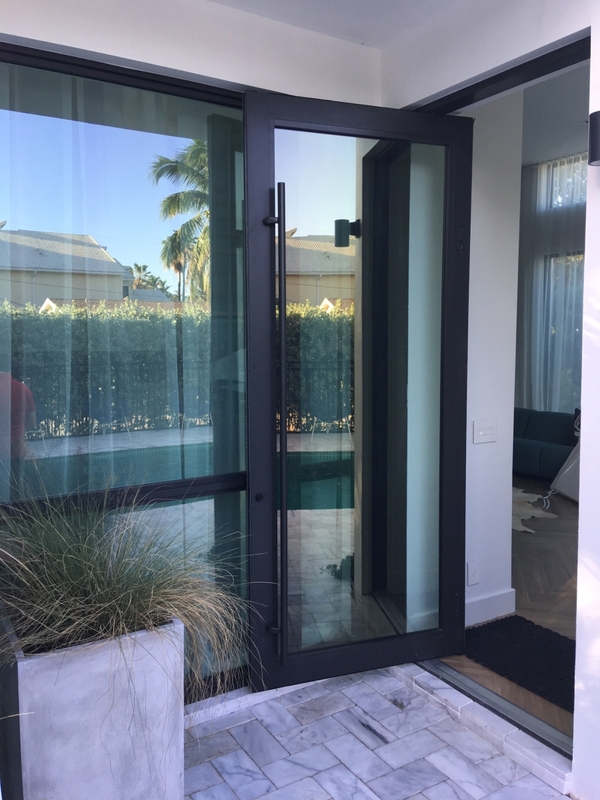 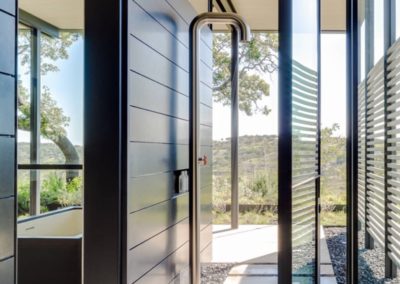 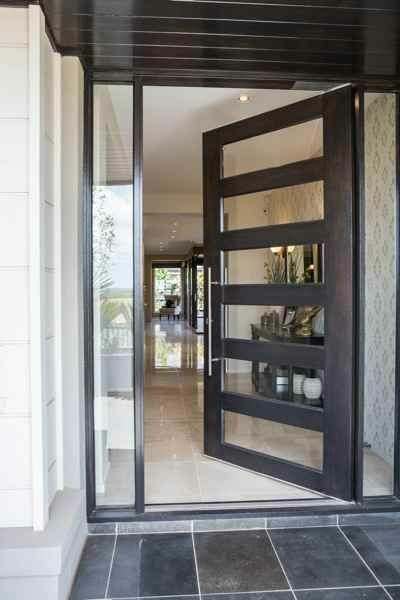 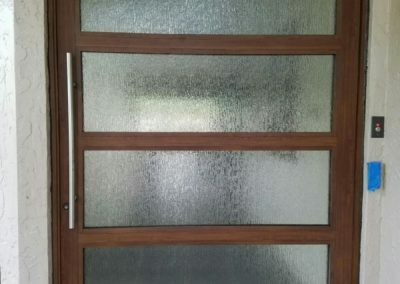 The best choice for modern & contemporary homes, commercial storefronts,car dealerships, hotels, restaurants as well as existing residential entry door systems. 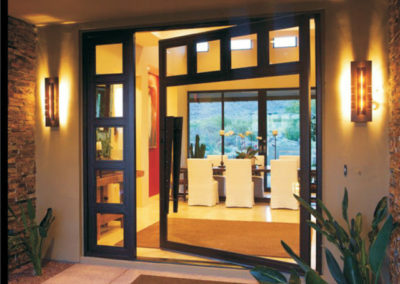 Offset and center pivot points are available for all sizes and designs. 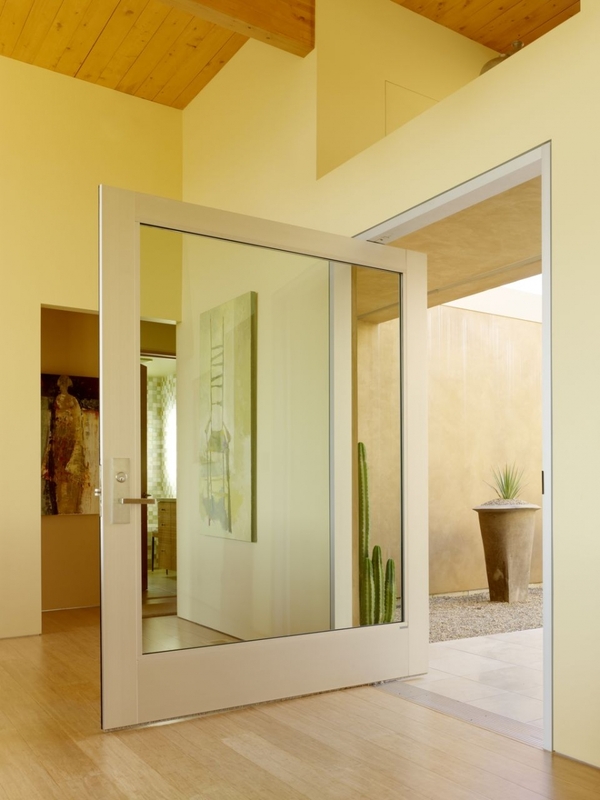 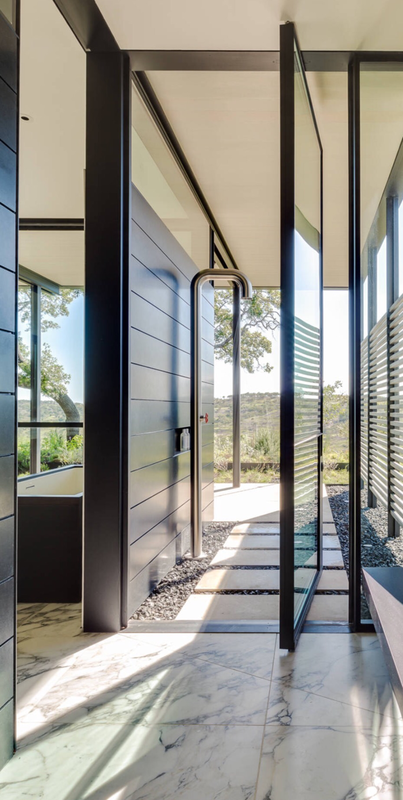 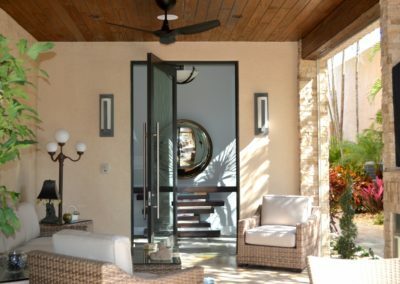 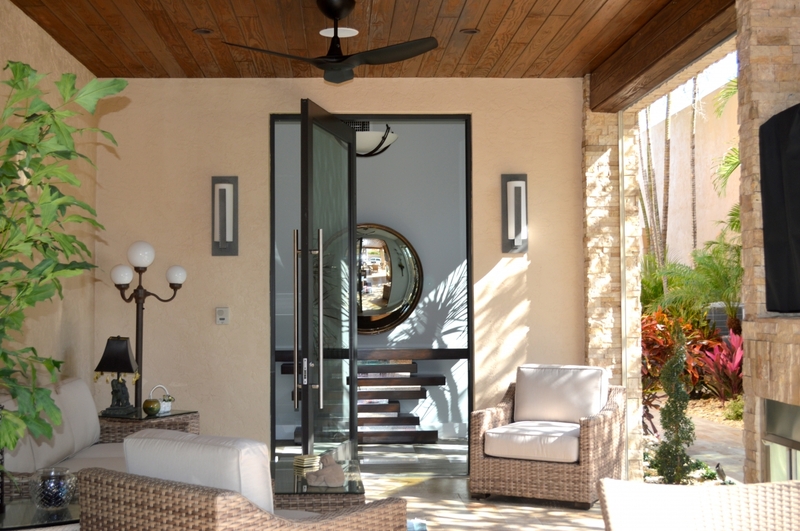 The smooth & quiet operation of our Pivot Door complements any tranquil environment. 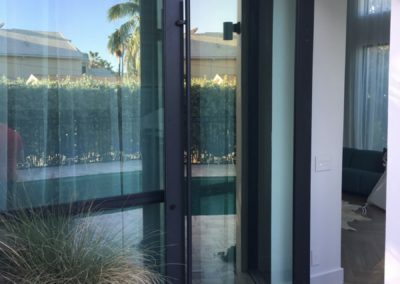 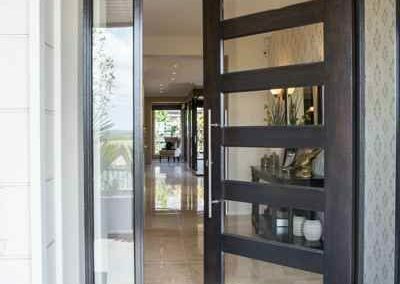 Pivot doors can be built with full glass, true divided lites and decorative muntins. 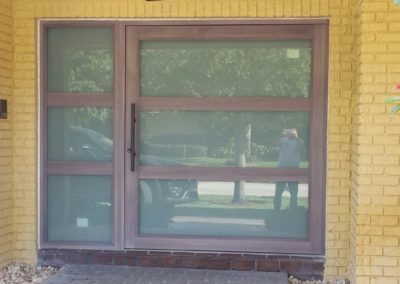 Maximun size of 72″ x 108″ on a single panel. 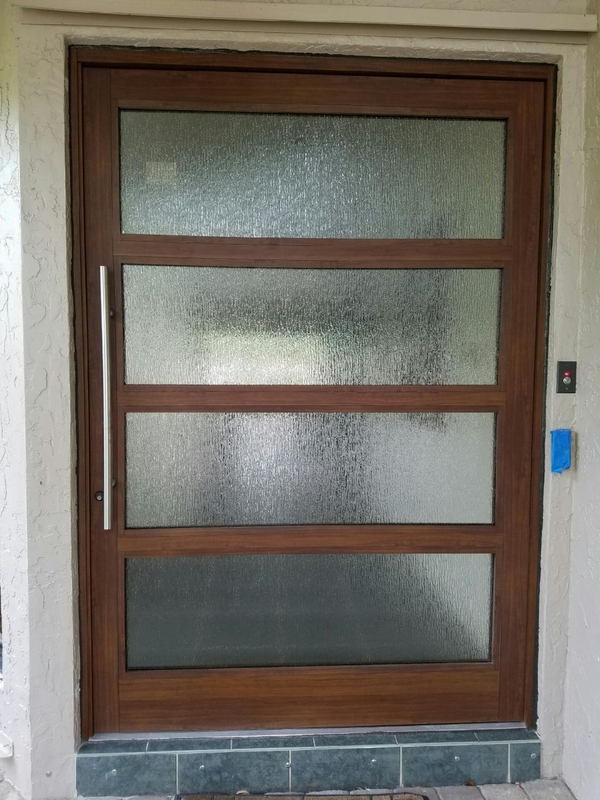 White & Bronze Frames are the standard choices but various Woodgrain Colors, Clear Anodized & Custom Colors are available at an additional cost. 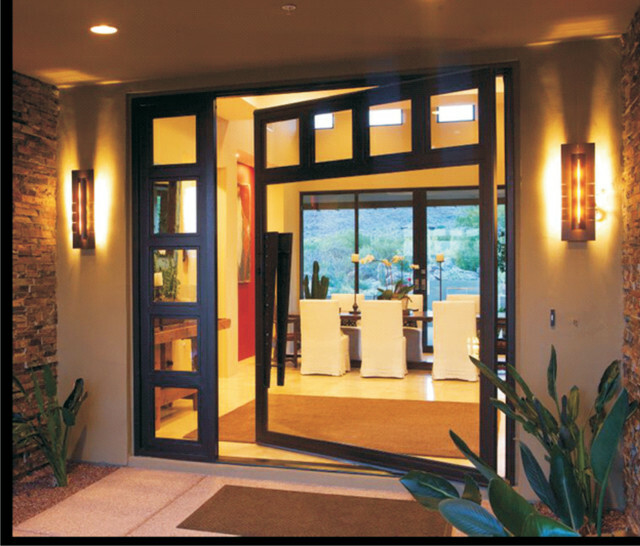 Standard Sentinel 3-Point Lock system which includes decorative backplates & Lever handles. 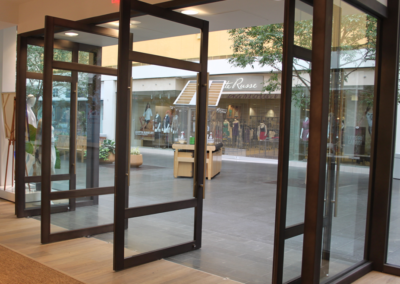 Custom Commercial lock mechanism witch Pull Handles available. 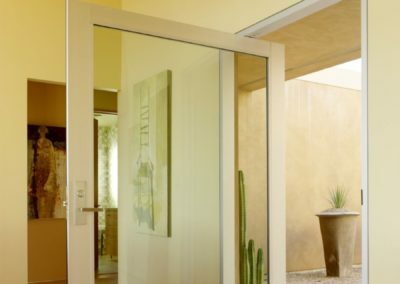 7/16″ Laminated Impact Glass for full panels and 1″ Insulated Impact Glass for True Divided Lites. 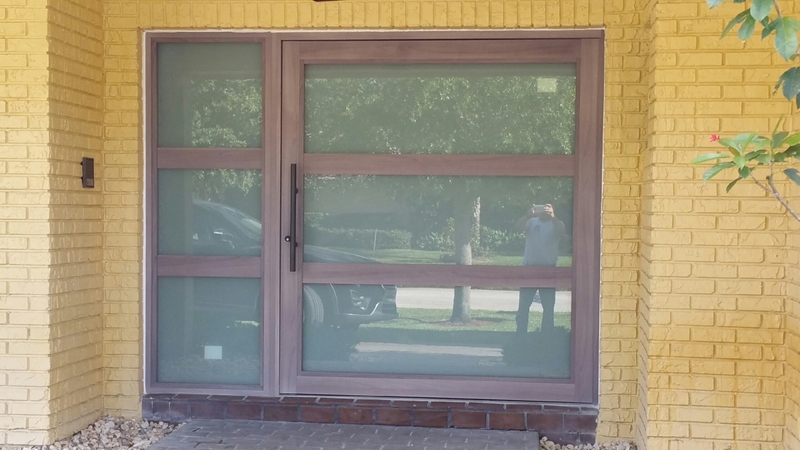 Custom Frame is available for 1/4″ cladding inside and out. 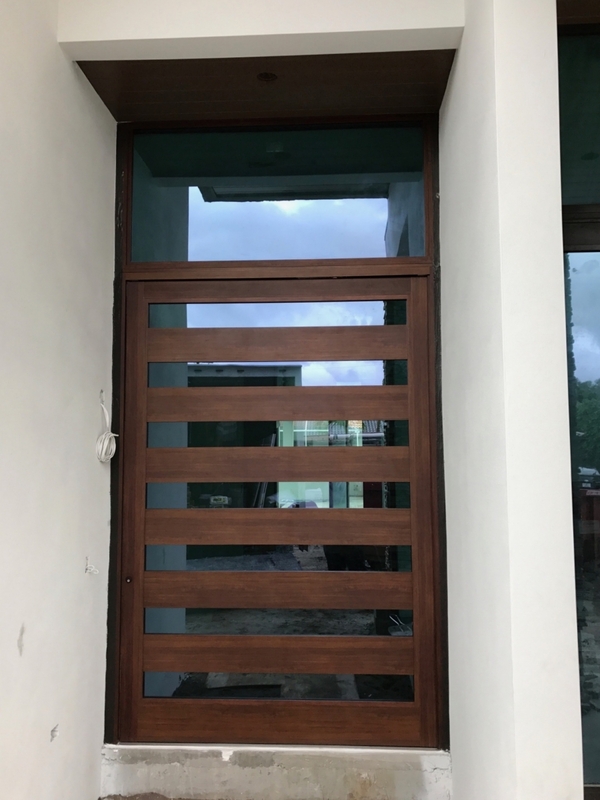 There's no easy way to success..
You have to stumble and fall first..
And its up to the individual to get up and try again..
Because the road to success is always under construction.